Hi there, my name is Jago Holmes, I'm a certified personal trainer from the UK. I'll be sharing all of my knowledge about walking for weight loss with you in the pages of this blog. Please leave your comments on any of these posts as it's always great to read your thoughts and opinions on walking and weight loss matters. If you've got a couple of minutes to spare I highly recommend you go take a look at my NEW walking program. It's a unique approach that I've developed which uses power walking and other advanced walking techniques to supercharge fat loss. 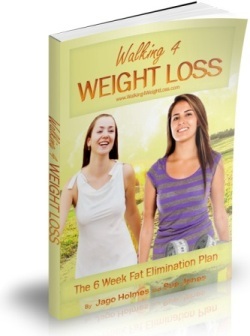 Based on a 6 week walking plan, it's a perfect solution for anyone who hates going to the gym, slogging it out at fitness classes or pounding the streets in their running gear.